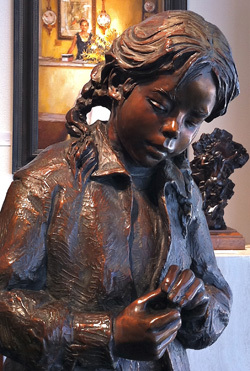 Glenna Goodacre’s iconic “Pledge Allegiance” 15/15 has just become available. This larger-than-life-size, inspirational work was sculpted in 1991. 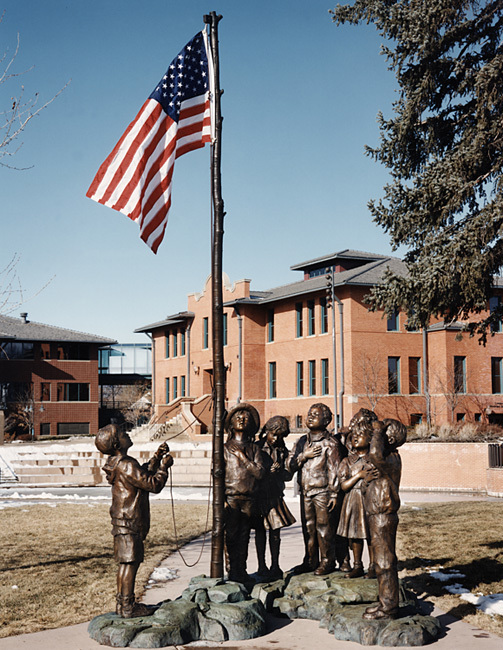 Originally created as a 24" bronze to be awarded to First Lady Barbara Bush by the Denver Children's Museum, the "Pledge Alliegiance" children are approximately 5' high and gaze upward at our American flag on its 14' flagpole. This is a rare opportunity for collectors to own this extraordinary work or gift it to their community or favorite organization. It has a confirmed value of $550,000. 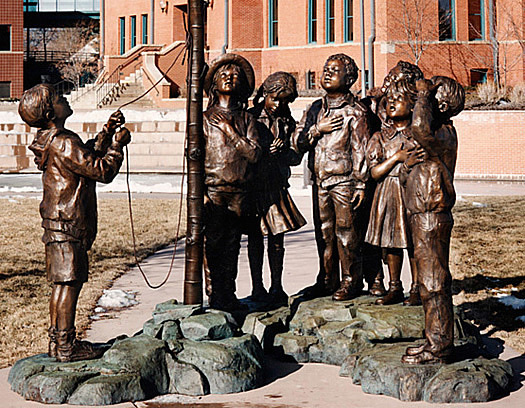 "...In the spring of 1990 I was asked by the Denver Children's Museum to sculpt a small piece to award to First Lady Barbara Bush in recognition of her work with literacy. Many of my collectors asked if I might consider doing a life-size version. It was a challenge and a lot of fun to create "Pledge Allegiance." It was a very popular edition in America. I get fan mail from people who see them around the country, especially at Brookgreen Gardens, South Carolina. Also, one bronze casting is in Japan and another in Brazil..."